Whether a world fair, an art gallery, a museum or trade show, all exhibitions deal with the same basic commodities, objects and informative space.A The skill of the exhibition designer lies in using suitable techniques to ensure that the objects are explained in an accessible way to the widest audience. This guide deals with the whole range of exhibition design, describing both people and processes involved in briefing, mounting, maintaining and evaluating exhibitions. 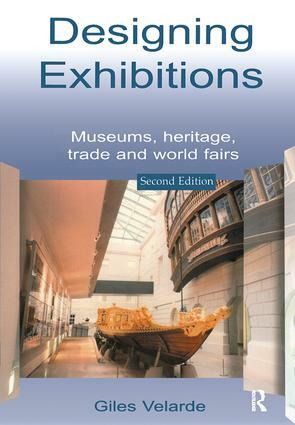 It provides the essential principles of designing an exhibition, whatever its nature and size, and serves as an introduction for the non-specialist and a guide to good practice for students and professionals alike.